CHILTON, Wis. — This weekend kicks off the annual sturgeon spearing season. 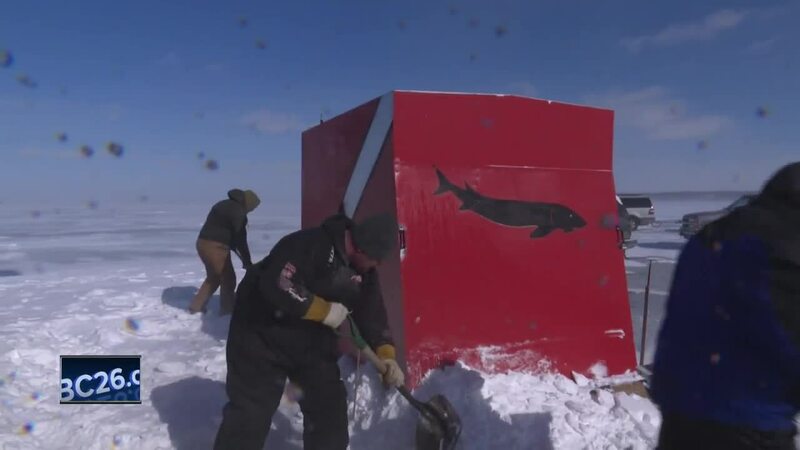 Sturgeon spearers are setting up shanties and cutting holes on Lake Winnebago in hopes of getting a big catch. 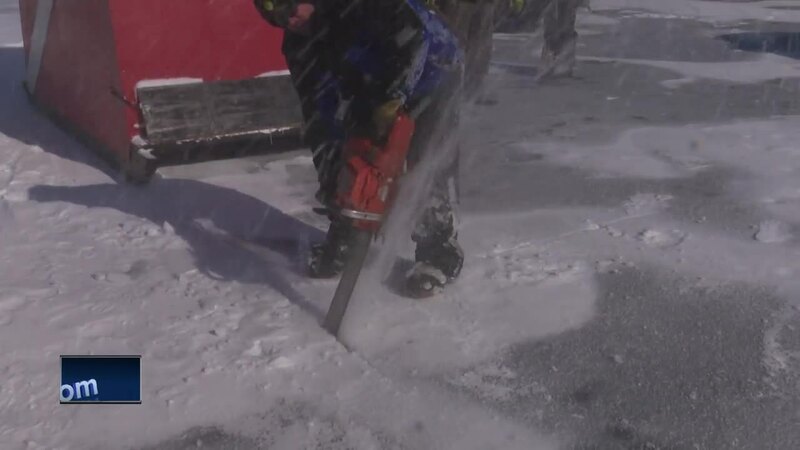 Many sturgeon spearers took to the lake Friday sawing through the ice, putting up their shacks and shoveling snow to cover them for tomorrow. Spearers NBC26 spoke with say this is more than just a unique sport, it's tradition. Sturgeon spearer, Tim Allen, has been spearing for 36 years and he's been his group's designated ice-cutter for 20. Since he first started, he's speared eleven sturgeons. Allen says there is some technique involved, like looking for spots that have clear water, but there's a little bit of luck involved as well. Sturgeon spearing season lasts about 16 days, or until the harvest caps are reached.